NACA: Northwood Appold Community Academy offers a sophisticated - practical - user - friendly, proficient, twenty-first century, public school. 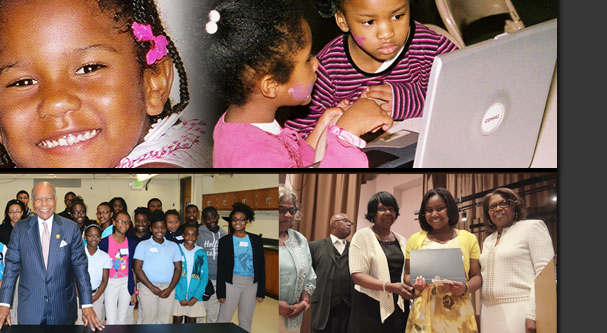 NACA is open to all our city's K-12 children. Please use the links above to navigate our site as you learn more about us. We hope your summer has been outstanding, and we are looking forward to a great 2011-2012 School Year! As you may know, the coming school year will be NACA I's seventh year and NACA II's third year. All along the way, NACA Inc. and The Freedom and Democracy Schools Foundation have given the schools wise guidance and solid support. From 2004 through the present, incredible accomplishments have emerged; and we are positioned to build on and expand upon those accomplishments this year. Your presence and your contribution will prove pivotal this year, and we are confident you are prepared to perform at a very high level. As always, you will be respected and honored. Additionally, as always, while we will all be working within NACA's Freedom and Democracy Vision, doing all we can to help you/your child excel, we will also need you to do your best and give your best. As we work together, we will all excel and succeed together. The Freedom and Democracy Schools respect all people, and it is necessary that all people respect The Freedom and Democracy Schools. The Freedom and Democracy Schools offer educational rigor that results in academic and intellectual excellence. The Freedom and Democracy Schools cultivate advanced character development. The Freedom and Democracy Schools offer a peaceful school climate and an academic-centered school culture. The Freedom and Democracy Schools prepare students to make a living and a life, with a continuous emphasis on Freedom and Democracy. The Freedom and Democracy Schools' students show up in the world as people of integrity, dependable servant leaders, and constructive global citizens. (2) preparing your children/our students to perform well and score high on the MSAs. With constant focus, we will accomplish both goals this school year -- and every year thereafter. This year, your child’s Journey to College begins for some and resumes for others. The Journey will be a demanding journey and a fun journey. Here at NACA, we are ready for The Journey. Once more, welcome to NACA! Welcome to The Freedom and Democracy Schools!